How will Mandatory Energy Benchmarking Affect Building Operators and Owners? 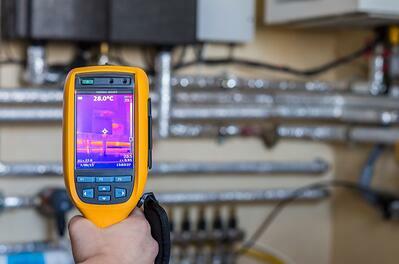 Getting an energy audit is a smart move. It can help identify and develop opportunities to increase energy efficiency and lower energy costs — but though the benefits to pursuing green building certification are clear in reputational, sustainability, and financial terms, it is entirely voluntary. However, voluntary green building certifications may not be the only way that energy efficiency in building operations may be recognized and promoted in the future. 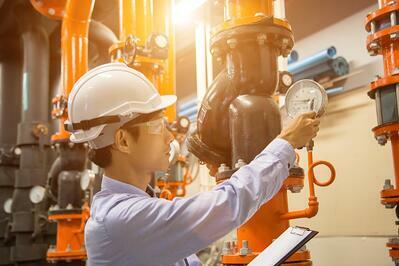 There is growing discussion around the concept of mandatory energy benchmarking. Smart building managers and operators would do well to pay attention and get ahead of the game. What is Mandatory Energy Benchmarking? The idea is, at its heart, very simple. Under a mandatory energy benchmarking program, every building that exists — or meets a specific criterion in some jurisdictions — would have to publicly report on their energy consumption on an annual basis. These numbers would then be benchmarked against similar buildings, and the final reports published. That doesn’t mean owners and operators necessarily have to do anything about their energy consumption under mandatory energy benchmarking — but it is not necessarily meaningless. By making this information public, an energy benchmarking program would create various incentives to building owners and operators to manage energy consumption in their buildings. How would Mandatory Benchmarking Affect Building Operators and Owners? Those building owners or operators who choose to tackle this challenge head on and reduce their energy consumption will have an easier time finding tenants and have the opportunity to reap the reputational advantages of being able to show better performance — on top of all the baseline benefits of energy efficiency. What’s the Status of Mandatory Energy Benchmarking in Canada? All that said, whether mandatory energy benchmarking will become a reality in Canada in the short term is difficult to say. It was included in the Pan-Canadian Framework on Clean Growth and Climate Change, but with several provinces having dropped out — or threatening to withhold support — its future is in question. However, policy makers opposed to carbon pricing seem to be more interested in dealing with climate change through stricter regulations, and mandatory energy benchmarking fits nicely into this approach. No matter what the short-term fate of mandatory energy benchmarking in Canada is, there is growing support — in Canada and across the world — for energy benchmarking programs. It’s nothing to be afraid of. An MIT study found that when the City of New York’s benchmarking ordinance came into effect, buildings meeting certain criteria saved on average 14 per cent in building energy use intensity compared to before the law. Here in Alberta, the City of Edmonton’s voluntary Building Energy Benchmarking Program is now in its second year. 83 properties were submitted, including the Terwillegar Recreational Centre and the EPCOR Tower. The city is also offering a one-time energy audit rebate of up to $5,000 for any eligible submission received by November 30, 2018. Cities and countries across the world are making mandatory energy benchmarking a reality — and saving on energy while they do it. Mandatory energy benchmarking in Canada will likely be a reality sooner or later. Given that every year you operate more efficiently, you stand to save more money, it makes sense to get started with energy benchmarking now. If you want a partner in this process, look no further than Vital Group of Companies. We send experts out to buildings to help owners and operators get their energy consumption under control. Whether you need an assessment, a building retrofit, an LED lighting upgrade, a solar panel installation, or any almost any other related service, you’ll find it under our Energy-as-a-Service Integration framework. Get started here.